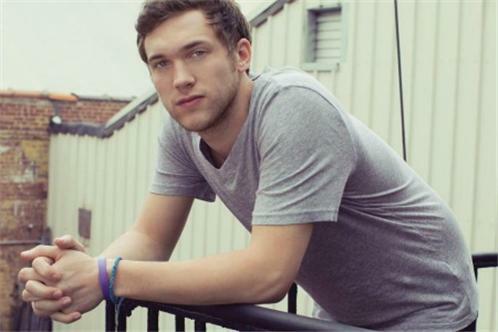 The same day that Phillip Phillips claimed his victory in American Idols season 11 finale, the 21-year-old singer/guitarist released "Home," a debut single that showcases his rich, raspy vocals and masterful guitar skills and marked the highest debut on the Billboard Digital songs chart with 278,000 downloads sold. Now, with a Billboard Hot 100 top-ten debut under his belt, the Leesburg, Georgia-bred songwriter is gearing up to record his first album for 19 entertainment/Interscope Records. "Its going to have more of a rock sound it," says Phillips, who counts Eric Clapton as one of his key influences. "The most important thing to me is making music that comes from my heart and really connects with people on a gut level." Phillips first began making music when he was 14, thanks largely to his older sisters boyfriend (and now husband), Benjamin Neil. "Bens an amazing guitaristhe taught me a few chords one day and I just fell in love with it immediately," says Phillips. Since the two lived in separate towns, Phillips kept on studying guitar on his own ("mostly by playing along to the karaoke machine") and soon found himself mastering riffs from classic-rock tracks like Deep Purples "Smoke on the Water" and Ozzy Osbournes "Crazy Train." Several years later, Phillips formed an acoustic band with his sister and brother-in-law and added singing to his repertoire. "I used to always keep my singing to myself and never let anyone hear me, but then my sister and brother-in-law caught me one night and told me I had to start singing in the band," he says. "We played at a church that Sunday and the room was packed and I thought I was going to pass out, but I did it." After graduating high school, Phillips began studying industrial systems technology at Albany Technical College in Georgia and continued playing music with his brother-in-law. "We got a name for ourselves, playing in college towns and at festivals, sometimes just playing for free or for food," says Phillips. With encouragement from his family and friends, Phillips took a break from working in his familys pawn shop and auditioned for American Idol in summer 2011and soon found himself tearing through powerful, full-throated performances of songs by artists like Creedence Clearwater Revival, Otis Redding, and Wilson Pickett on the Idol stage. As he readies himself to record his debut release, Phillips aims to channel that soulful spirit into acoustic-driven rock with an earthy, authentic sound. 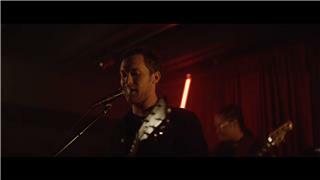 "Im still so amazed at how this has worked out," says Phillips, who plans to bring his brother-in-law onto the album as a guitarist. "I knew Id always have music no matter what happens, but I never imagined that it would get to this level. Im so excited to just get going and have a great time doing it."